Huntsville, AL – Remington is proud to announce its full-size polymer pistol, the RP45 and RP45 Night Sight, is now available at retail locations nationwide. 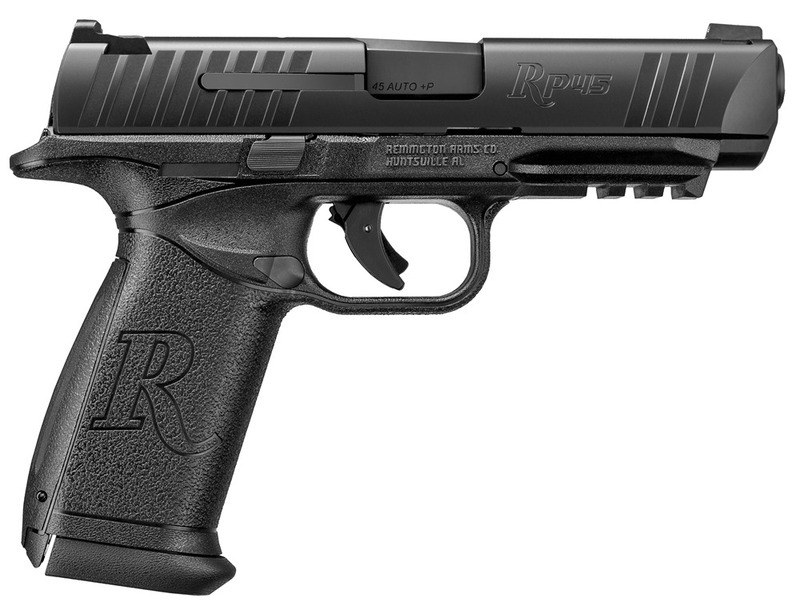 The Remington RP45 – a striker-fired, polymer frame pistol features a 4.5” barrel chambered in 45 Auto. MAXIMUM FIREPOWER. COMPLETE CONTROL. THIS IS SHOOTABILITY. Following the 2017 release of the RP9 Remington’s first polymer frame full size handgun, the 15+1 capacity RP45 is a great addition to the RP line. boasting all the same features as the RP9 with the added power of the 45 Auto cartridge, and available with 3-dot tritium night sights. Built with one of the smallest grip circumferences in its class, The RP45 delivers a reliable defensive gun at a great value to the consumer. Durable, versatile and supremely consistent from shot-to-shot, the Remington RP45 allows you to Live Ready with the confidence you seek. The RP45 pistol ships with two magazines along with small, medium, and large backstraps for custom fit and is offered at a manufacturer suggested retail price of $418.09, with the night sight model retailing at $504.00. This entry was posted in pistols and tagged Remington, RP45. Bookmark the permalink.